Smoky my 9 year old goldfish has something going on. Yesterday I saw him barrel roll in the pond as he was going through the cement block hole...he came out backwards. Then he was swimming erratically for a few seconds after that. 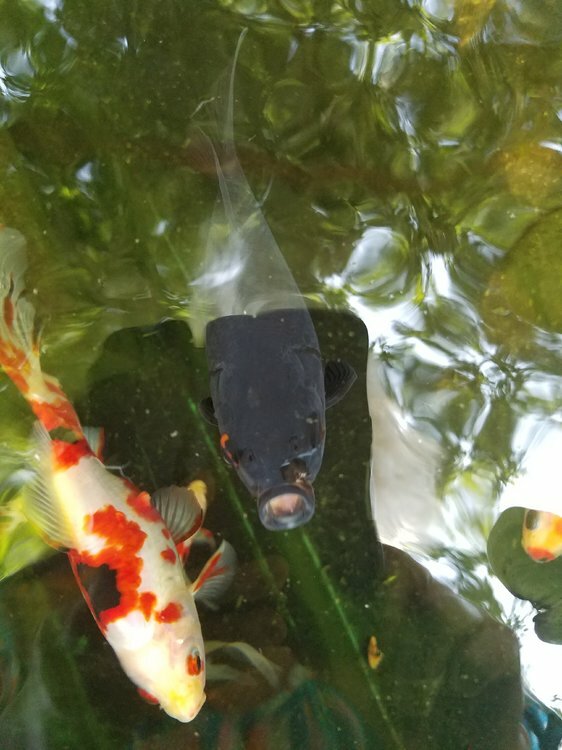 Today I noticed he has a darker black circle on his top mouth/nose area that is surrounded by slime coat (white/grey shreds of slime). She is not acting herself. 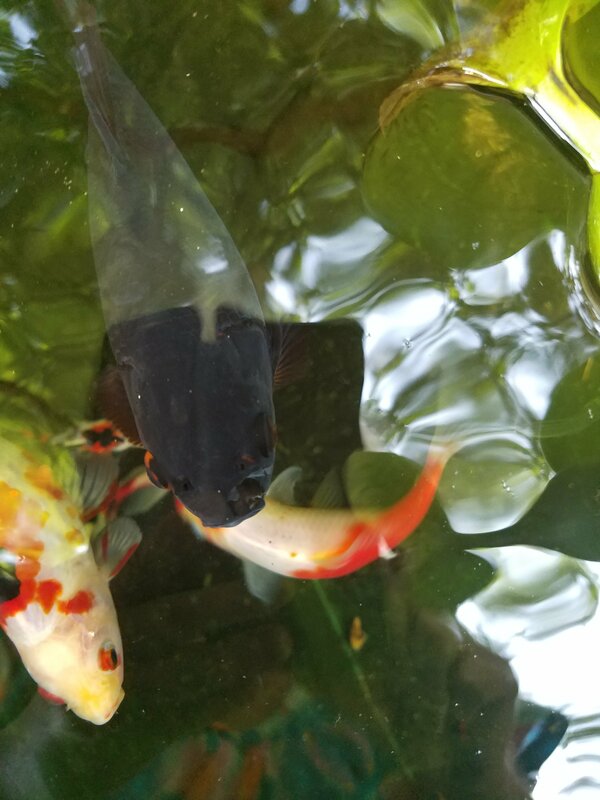 She is last to come eat and is usually first. She isn't staying with the others. We have our neighbors honey bees all over our plants in the pond and I wonder if she's been bit. 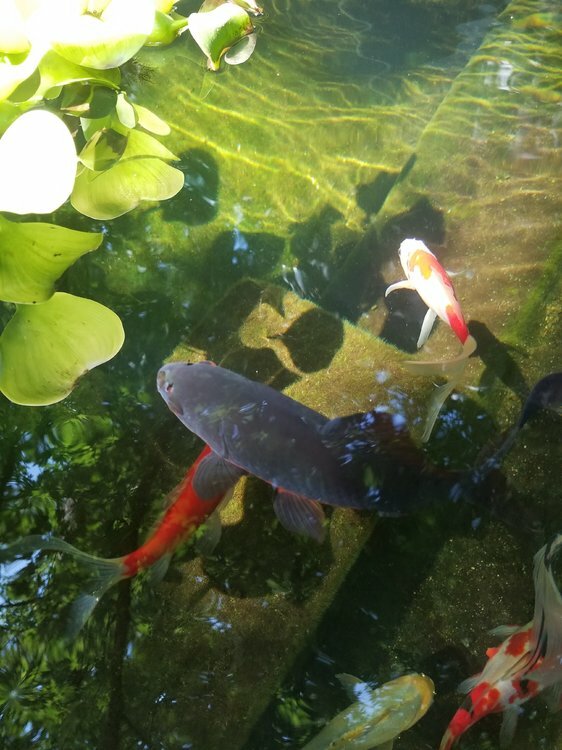 The 20 fish in the 700 gallon pond have all been prazi'd every 4 to 6 months. I will upload a pic in a bit. She is the only fish acting unusual and with this mark on her upper lip. The dark circular mark is larger than a good sized pea. Smokey is black and the circle is a darker black surrounded by slime coat pieces. I'll post pics in a bit. We recently (in december) lost our 9/10 year old Elmo common and don't want to lose Smokey too :(. It's on her left side just under her nostril flap area. I think it's a bee sting. * List entire medication/treatment history for fish and tank.Please include salt, Prazi, PP, etc and the approximate time and duration of treatment.